DESCRIPTION Fisch: Chris Fischer and his crew are living, breathing, modern-day adventurers and you can bet he's always got a pair of Costas around his neck. 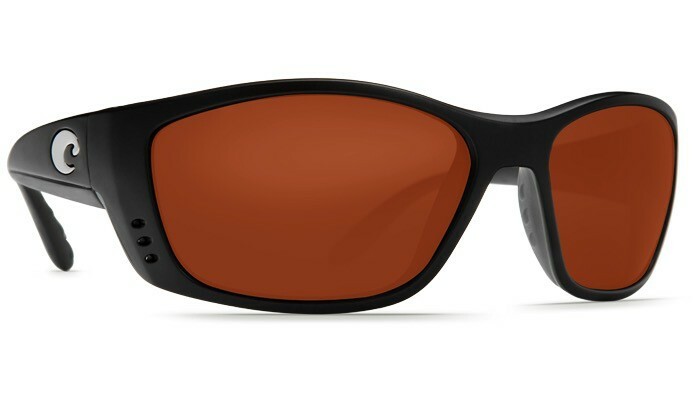 Fisch sunglasses feature no-slip Hydrolite lining and our signature three-hole venting system on the front to keep things cool even when things heat up. C-MATES Sunglass Readers: News worth reading about sunglass readers: the lenses that help you see the small stuff- from tying a fly to reading a map- will no longer have a visible line around the front of the bifocal area. 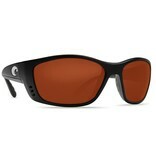 You can also now get them in the superior 580 technology you've come to expect from Costa sunglasses. Many new styles are available for 2015, and we've added a third power range of +2.00 that fits in nicely between the +1.50 and the +2.50. FEATURES Comfortable extra-large fit. Integral hinge. Heavy-duty TR 90 nylon frame. Includes hard case. 100% UV light blockage for max protection. 100% polarization kills reflected glare and reduces eye strain. Built by hand and backed for life. Every pair of Costas include a lifetime warranty. Plastic lenses are lightweight, impact- and scratch-resistant.